Now that school is out, the kids have been going to the beach every week. Here is Annika playing in the sand for hours at a time. Here are the boys being cool. Here are Madhu’s kids Maya and Kiran from last week when they were here. This week, Anjali took the kids to Newport Beach for the day. They went with their friends, Zach, Belle, Sam, Brandon, Ryan, Andrew and Adam. 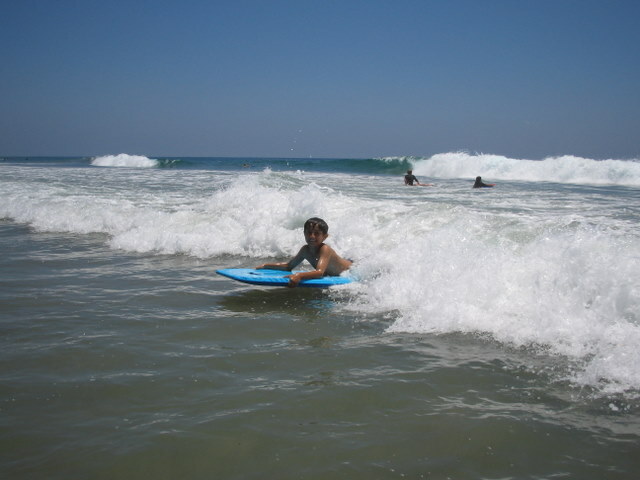 The beach is about 20 minutes from our house and the waves are perfect for their favorite activity “Boogey boarding”. This is almost like surfing except with a foam board that is easier to learn! 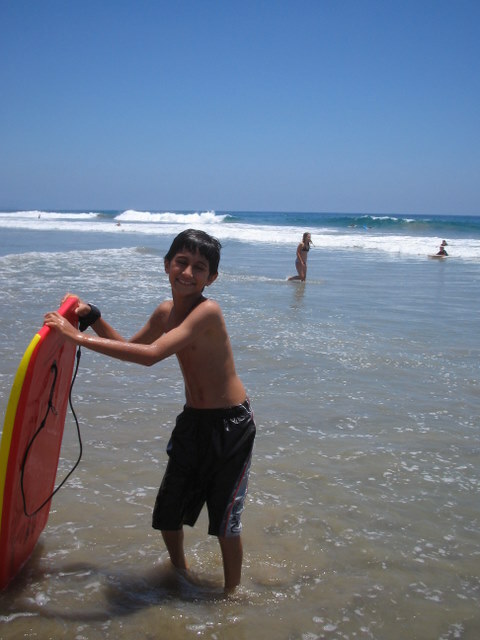 This is Nikhil above Boogey Boarding. 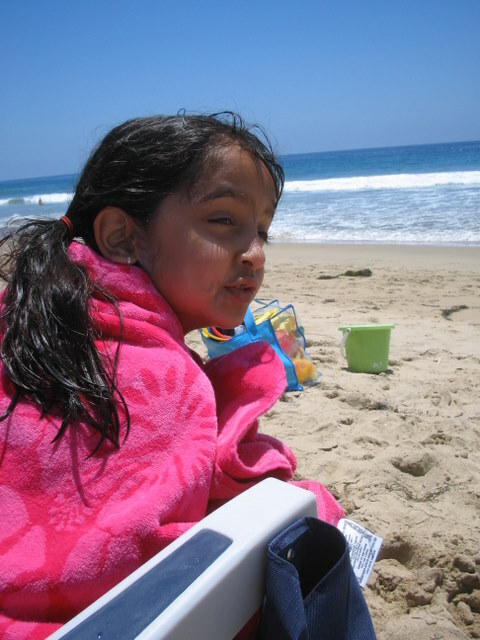 This is Annika after she caught a big wave that took her underwater!